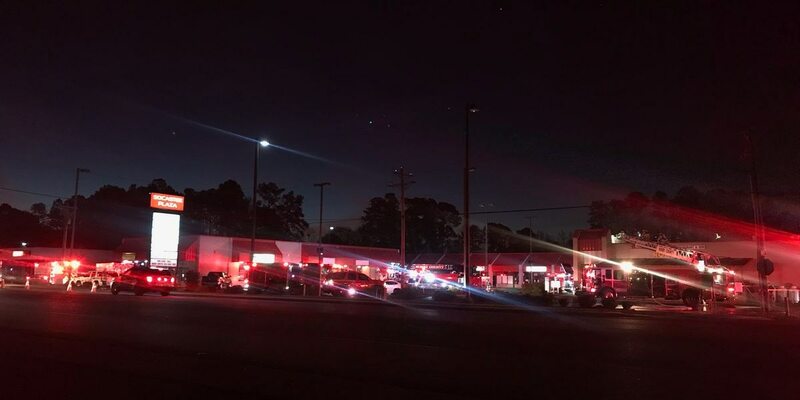 HORRY COUNTY, SC (WMBF) – A firefighter was injured in a fire Tuesday morning at Kaiden’s Roadhouse in Socastee, according to Horry County spokesperson Kelly Moore. Moore said crews were dispatched to the fire at 4505 Socastee Boulevard at 5:25 a.m. The injured firefighter was transported to a local hospital for treatment. The extent of the firefighter’s injuries was not immediately released. According to Lt. Jonathan Evans with the Myrtle Beach Fire Department, a Myrtle Beach fire truck was damaged after being struck by a vehicle on scene, but he does not know the extent of the damage.